What I am talking about is MAC or Make-up Art Cosmetics, a Canadian cosmetics company founded by Frank Toskan and Frank Angelo in 1984 and which was later acquired by Estée Lauder. I was thinking of all these when I dropped by my favorite MAC store at Rustan’s Shangri-La yesterday evening. 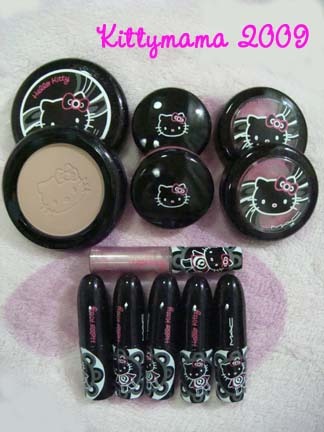 This Saturday, March 21, 2009, is the brand’s official launch of its Hello Kitty cosmetics in all MAC branches in the city, and Kitty lovers like me are eagerly awaiting its debut on Philippine soil. Next to its socially relevant programs (my favorite being the Back to MAC Recycling program), I happen to think that its color collaboration with Hello Kitty is one of it’s best ideas yet. 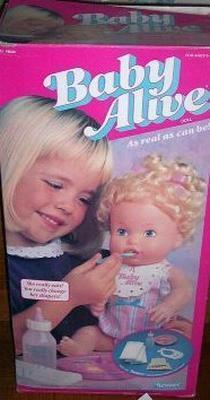 Although not entirely novel as MAC also brought in Mattel in 2007’s Barbie Loves MAC, the idea was greeted with enthusiasm by many who grew up with the mouthless feline creature of cuteness. Of course, I had called the store earlier in the day to ask about the launch. I was informed that the event was a whole day affair, but unlike launches in cities abroad, no specific program had yet been laid out. I was also told that I could reserve items in person even before the launch as the products had already reached the counters the night before. I had planned to take a leisurely day yesterday and spend hours playing with Mario Kart Wii but the call changed my day’s plans. Knowing that I would have mere hours to get ready, I cancelled my afternoon Wii game play and set about making myself decent and ready for the store trip early evening. There were already a few others checking out samples arranged on the make-up counter when I arrived. I looked at product lines, sampled some of the colors, and chose the items I wanted. I was a little ambivalent, though, about the eye palette since I hardly use any eye color except on special occasions. I’m actually more of a lip and cheek girl, the no-fuss type when it comes to everyday make-up. I took doubles of the items I wanted, one to use and one to save, but A prevailed over me on this one. He said that if I intended to buy extras, then I should use them as well and just keep the containers as souvenirs. A’s no-nonsense approach set me right again and shook some sense in this Kittyholic. So while I did take doubles, they’re doubles of the colors I want and will use in the future. I absolutely love the colors I chose; they suited my coloring very well. Unlike my previous foray into HK cosmetics (mostly made by some unknown Japanese cosmetics company), I love that I can trust my skin and face to a reliable brand. (I tend to to drift more to Estée Lauder, Clinique and Shu Uemura for make-up, and Clinique or Shiseido for skincare.) I am absolutely bowled over by the Hello Kitty packaging. Too bad, though, that the MAC Hello Kitty accessories (doll, bracelet, cosmetic bags, brushes) weren’t made available in the country. That would have made the whole experience more complete. Still, I chose to buy my MAC HK items here in the country, if only to prove that our local market is reliable, alive, and booming, even in these uncertain times. Who knows? Maybe if they do see that, they’ll think twice about the accessories think and fly them over as well. I’m crossing my fingers. Between the last week of classes (for Alex, which coincidentally was also the week of final exams) and an impromptu weekend trip planned just days before the actual date, last week I was neck deep (and sinking fast) in unfinished chores. See my two new addictions? 1: The third room. Lions that haven’t eaten in three years are dead. 2: The woman took a photo, developed it, and hung it up to dry. 4: Yesterday, today and tomorrow! Will be back in a little while, dearest friends, to share some photos of our spur-of-the-moment trip. Let’s hope my Internet connection is more stable then. It’s Wednesday, the middle of the work week, and I am sooo looking forward to the weekend. For some with a little more energy to spare, perhaps you can spend a few minutes to have some fun with these questions a friend sent me. These are simple, no need to get your underwear (or mine) in a knot over them. And I’m sure everyone will get the answers right. I’ll post the answers tomorrow. eaten in 3 years. Which room is safest for him? and enjoy a wonderful dinner together. How can this be? you throw it away ? it a bit, you might find out. Try to do so without any coaching! I like to describe myself as a nerd who discovered her arts and crafts bone a little late in life. I didn’t even realize I had it until I had my first child. My very first project was a series of small hand painted oven-baked ceramic pots to hold small baby things. My husband loved them and he loved the idea of personalizing our son’s nursery with handcrafted objects. Emboldened by the success of my first project, I soon discovered a passion for things my hand (and my heart) could create. I learned how to crochet properly, to knit, to do cross-stitch and embroidery. I dabbled in cardboard 3D puzzles, in paper tole and decoupage; why, I even learned to paint with watercolor! Add to this my experiments in the kitchen as I grew and learned as wife and mother, and I could say with all honesty that for a nerd, I wasn’t such a bad student of the arts. Despite my successes, however, I could not sew, except by hand. This week, however, was the impetus I needed to overcome this phobia. My beautiful Singer sewing machine (model number 1116, see picture above) has waited for me since Christmas, another thoughtful and generous gift from A, but I was too scared to do anything with it. When my latest Hello Kitty Dress- Me Doll arrived, I knew I had to get moving. After all, she was clad in such an immodest fashion that I simply could not leave her lying around the house in a state of undress! What would my sons think? I remembered I had a pair of pajamas I bought at a thrift shop a few months ago that was in need of hemming. Cutting it short gave me enough fabric for two doll blouses, one for Fudge Brownie (the new suntanned Dress-Me Kitty) and Bee (my tropical HK Build-A-Bear). Moreover, unearthing a couple of pairs of torn jeans, I decided to make my first pair of doll skinny jeans too. I made some mistakes in the process, but for a first time sewer, my projects didn’t turn out too bad. I like that I can make my dolls’ clothes and not spend a lot on ready-made clothing for them. And who knows? Once I get the knack of the machine (right now, I am very, very good with very, very straight stitches), maybe I can learn to make my own clothes too. In this time of want and need, that certainly can be a money-saving, even moneymaking, skill. And with this, I realized once again that happiness is… realizing that the only limits are the ones you set for yourself, and nothing, not even five left thumbs in one hand, can stop you from making a dream come true. This very late post is dedicated to Little Miss Firefly in faraway Ireland, she who constantly brings a dose of happiness to everyone she meets. Thank you for the friendship, dear Odette. You constantly inspire me to better myself. Posted in My Personal Space, Kittymania! I wrote this a few weeks before Valentine’s Day, with the intention of posting it as soon as it was finished. Somehow, the days slipped through my fingers and I forgot. This is for you, A - the one who stayed - for all the Valentines you and I have been together. Even through our sometimes difficult life, I have never hand a single moment of regret with you. We often wax poetic over “the one who got away.” Memories are tricky that way. Like light that passes through a prism and breaks into a rainbow of colors, memories often pass through a sieve that breaks our remembrances and filters the past of its unpleasantness. And through these tinted lenses, we remember things a little differently, a little wistfully, perhaps, with a tinge of nostalgia and a bit of longing. We remember the good times we lost. We romanticize the hours of pining and sweet aching. We idealize the nights of wondering about an imagined future. “The one who got away” becomes our life’s ultimate unanswered “what-if?” We think about where he (or she) could be now, what he (or she) is doing at this exact moment. Is he thinking of you too? Do you even cross his mind? We wonder if the life we lead now is where we were meant to be. We second-guess our decisions. We live in the past. Yet, in that rose-colored haze, we often forget that “the one who got away” is usually the one who broke your heart. The one who dumped you once, even twice. The one who cheated. The one who couldn’t commit. The one who lied. He wasn’t perfect, that much is obvious. And so what if the timing was a little bit off? For true hearts in love, time and space are ephemeral. You would have hocked the universe just to make your relationship work; why couldn’t he have done the same? Timing, or the lack of it, not being emotionally prepared, not being committed — these are all cop-outs, excuses people make up to rationalize their wanton disregard of another human being’s feelings. If he was not ready to commit, why bother to go through the whole thing? The truth is, and take it from an old hand in love, it does matter who you’re with, whether he (or she) is a jerk, a coward, or just a complete fraud. Timing’s the least of your worries. I can’t totally promise this, but one day, “the person who will not go away” will come. This is the person who will not lie to you. Who will not make you cry. Who will not break your heart. You and he may not be both ready but it will not matter one bit. When love comes, and I mean true love, nothing else will matter. Not your fears. Not your doubts. Not the inconsequential little things that people seem to worry so much about. I know too that when that day comes the “what-ifs” will no longer be important. You will realize that reality is so much cooler than imagined expectations. Chuck those clouded eyeglasses for a reality check and just heave a welcome sigh of relief. Thank God, that one got away, for indeed, you are lucky. I am on a Hello Kitty detoxification and recovery program. Last year, when I discovered the addictive joys of online shopping, I got hooked and went a little crazy with all the buying. I have a social network account where my friends — all Kitty collectors like me — and I share photographs of recent additions to our collections. Unlike some of them, however, I choose not to post all the items I buy. The truth was, I felt guilty about spending a lot of money on really cute but nonessential items. It just hit me suddenly one afternoon during the holidays, the fact that I had become a compulsive HK shopper. I was watching television and flipping through channels when my ears caught the words “hiding shopping bags.” That struck me hard as I had done just that a few days earlier, when I shredded the courier packaging my latest purchases came in. It was weird because my kitty shopping has never ever been an issue of dispute between my husband and me. I am a card-carrying Sanrio Fans Club member, and proud of it. I make regular purchases at local Gift Gate and Sanrio Surprises stores. When I started buying things online, it was always with my husband’s knowledge (and permission). I would proudly show off the bargains I picked up and he would always say nice things about them. As the months passed, however, I realized I was receiving a package (or two) almost daily. I was paying for them in cash, so debt was not an issue. But while I was happy about them, I also felt queasy in the stomach about having new items almost everyday. The guilt was temporary, though. After a while, it just seemed easier to pack away my newest packages as soon as they arrived. The plastic bags would be folded and stowed away, or when space ran out, shredded. I was online almost everyday, watching for auctions and sales. Calculating all my acquisitions over a six-month period, I was dismayed to learn that my purchases have already surpassed the high 5-digit mark. A hundred pesos here, maybe two hundred there, and after a while, going through a thousand pesos in five minutes became as easy as double-clicking a mouse. I even stayed up late nights checking and rechecking sellers’ pages for new items. I was hooked and I knew it. They call shopping addiction or oniomania (derived from the Greek word onios = “for sale,” and mania for insanity) an impulse control disorder. Thankfully, I have not reached the point where my life has spiraled out of control because of my Kitty addiction, and I’d rather not wait for that to happen. I’ve already seen the early symptoms (the elation of buying, the guilt of receiving, the problem with disposal of packaging) and they are not at all pretty. 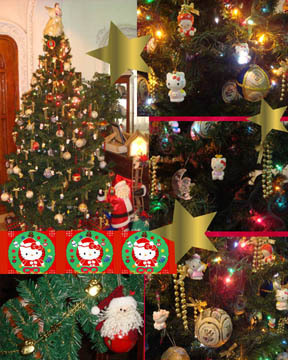 That day, in early December, I went cold turkey on Hello Kitty. I have been Kitty sober for 50 long days. It’s a hard, but necessary, step to fiscal responsibility. 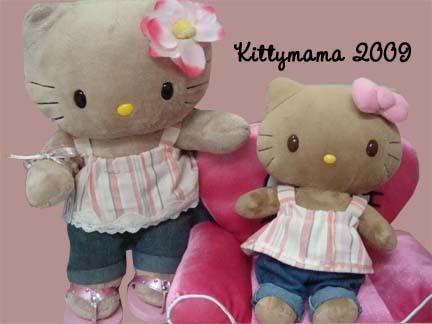 I don’t think I’ll ever stop wanting all those kawaii HK stuff. I like Hello Kitty; I make no excuses for liking it. But realizing the difference between wanting and needing and putting a rein on uncontrolled, mindless, dysfunctional behavior are essentials in the fight against any addiction. Within the framework of responsible living, some things are definitely good, but too much of a good thing, even Hello Kitty, can also be quite bad, I’ve learned. I am wearing new underwear today. Marks & Spencer has an ongoing sale and I took the opportunity to grab some new underwear for the Chinese New Year. It isn’t red and I skipped on the gold embroidery (maybe I’ll get some of those when I turn 48, when I meet my zodiac year again, just in case), but it’s new, and I am starting the year 4706 right. The first day of the Lunar New Year is a quiet affair today here at home. With Alex in school and A at work, Alphonse, his nannies, and I must wait for them to come home before festivities begin. It’s pretty relaxed here too, after the whirlwind of sweeping, dusting, and washing we did over the last few days. Today, there will be no cleaning for all of us, lest we sweep away some of that New Year luck. I did my morning run this morning and I was also able to go to mass. This afternoon, I am settling down on the bed for a few lazy hours with Anthony Bourdain and Jon & Kate Plus Eight. Before I go back to real chores, I think I’d treat myself to this lazy time. I hope you get some lazy time today too, friends. Considering the number of kilometers I’ve covered since I started my regimen of walking/running, I feel mighty prepared to tackle this year’s Autism Walk. Last year, I was huffing and puffing in the morning sun, flushed pink from running and taking pictures at the same time. I had to pause and catch my breath more than a few times, which only goes to show the very poor state of fitness that I was in last year. Unfortunately, despite all my preparations, I will not be able to join this year’s Autism Walk. Just a case of poor scheduling, (and yes, some midlife memory crisis) but I inadvertently scheduled another thing on the very day the walk was slated. (*hits head with a brick* ~ do not try this at home!) While I am sorry to miss the excitement of the day, I am even sorrier that I would have to shelve my new shirt ideas for this year. Still, Team Alphonse may not be around physically, but my family and I (and all those who are invested in Alphonse) will be there in spirit. If you know anyone with autism, if you live with and love anyone who has autism, if you teach or work with someone with autism, please stand up and be counted. Walk for them. This walk is all about numbers and how we, as a united force, can bring about change for our children and loved ones’ lives. 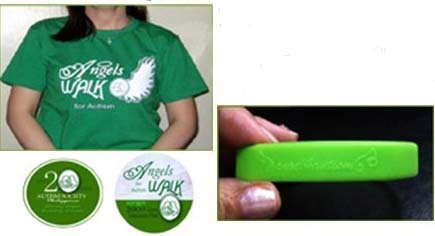 And oops, a shameless plug for Autism Society Philippines: (pictures borrowed from ASP newsletter) Autism Walk merchandise (official green ASP t-shirts and baller bands) are available at the ASP office (call 926-6941). When you purchase any of these items, you enable the ASP to work another day and reach more people. To ASP, and to my friends in the autism community, I wish you mild sun and cool winds on Sunday, and lots of kind hearts to brighten the day. God bless! I woke up this morning resolved to commit myself to a daily run (well, ehr, more like a really, really brisk walk) but I stepped out to a gloomy, rainy, windy day. The cold weather has made me more ambitious about my exercise regimen of late; I like that I can stay longer outside these days. On good weeks, I am able to go out thrice a week for my walks/runs. I walk or run alone, with my iPod as sole companion , but along the way, I’ve made some nodding acquaintances in my route. There’s this husband and wife team who jogs daily while holding on to oversized weights. I am amazed that they are able to keep a running conversation between them almost every time I see them. Every now and then, they acknowledge my presence and wave a chirpy hello, even as I wonder if they ever run out of things to say. There’s also this fabulously fit lady who runs with an iPod shuffle and heart rate monitor attached to her arm, a pedometer on her foot, and a cellphone in her waistband. She gives me a little smile every now and then, but mostly she keeps content monitoring her various gadgets as she dashes way ahead of me. And then there’s this old man who runs in the briefest of running shorts that seem very likely to reveal parts left unseen that I am embarrassed to meet his eyes when he runs past me (notice the recurring theme of people running past me?). I like to observe them as they run or walk about. They help make the 3.5 to 5 km I cover more interesting, and with the music of Everything But the Girl, Basia, Sharon Cuneta, The Company and Christopher de Leon (I am still enamored with his “Awit Pelikula” album) in my ears, the distance seems almost bearable for my overweight, huffing body. I like that I feel I am in control of my body, even as my weight has dropped off only slightly in the last few months. The weight I’ve gained since late 2006 is still a long way from being gone, but I feel more awake and more alive these days. And with Oprah confessing to having fallen off the wagon of weight control, I actually feel less guilty about regaining much of the 67 lbs I lost in 2004. When I feel the wind in my face, I feel like I can just about do anything. It’s almost like a fresh start. And so I don my running shoes, and my soggy sweats, and my Hello Kitty arm warmers, visor, and sunglasses. I sling my Hello Kitty bag over my shoulder, slip my pedometer on my right foot, and run. Run until my tongue hangs over my mouth. Until I can feel the blood pounding in my head. And then I take a deep breath and slow down to a brisk walk. When I feel less likely to pass out, I run again. In short bursts, I find I am able to run like the wind. And for a briefest moments, I am the wind. Only three more days before Christmas, and I realize that I have been missing in action for nearly a month. I feel old and stiff before the keyboard, my fingers are screaming “arthritis!” and my back resents the time spent sitting still. But they say blogging is like riding a bike; once you learn how, you almost never forget. Still, I wanted to simply ease into blogging again after a month’s hiatus, and what better way to get back on the bicycle again than to do a good old-fashioned tag, Christmas style? I am “borrowing” this tag from from Amelia, Tess, and Sophie’s mom at For Better Or For Worse . 4. Eggnog? Nopes! Since we limit our casein intake (in deference to Alphonse’s GFCF diet), we prefer homemade Hawaiian punch instead. Christmas in the tropics rocks! Woohoo! 6. Hardest person to buy for?? My husband. He’ll be the first to tell you he doesn’t want or need anything. Gives me a headache each time I look for gifts for him. 7. Easiest person to buy for? Alphonse. Bubbles do it for him. Lots of bubbles. 8. Do you have a nativity scene? Yes. Most Filipino homes do. 9. Mail or email Christmas cards? I used to do Christmas cards but e-cards are sooo convenient. 10. Worst Christmas gift ever received? A washcloth. The person who gave it simply didn’t care. 11. Favorite Christmas movie? I have two favorites- It’s A Wonderful Life (1946) starring James Stewart and The Gift of Love (1978) starring Marie Osmond and Timothy Bottoms. 12. When do you start shopping for Christmas? All year round, I like to pick up gifts as I see them. 13. Have you ever recycled a Christmas present? Yes, when I receive duplicates of items I already have, but I am very particular about what I recycle and whom I give them to. 14. Favorite thing to eat at Christmas? Lengua (Ox Tongue), either estofado or in mushroom sauce. I use a pressure cooker for softening the ox tongue, and because I am afraid of pressure cookers, I cook this only once a year, on Christmas Day. 18. Travel at Christmas or stay home? When my mother-in-law was alive, we alternated Christmas Eves between my parents and A’s. When she passed on in 2005, Christmas Eve became simply our family tradition. Christmas Day is spent with my parents and siblings. 20. Angel on the tree top or a star? Angel holding a teensy weensy Hello Kitty plush. 21. Open the presents Christmas Eve or morning? Christmas morning! 22. Most annoying thing about this time of the year? Carolers who demand payment for singing the same song over and over again, garbage collectors/ delivery men who give us envelopes for “donations” each time they perform a service that is simply part of their jobs.